I'm between projects, so it looks kinda tidy-ish. 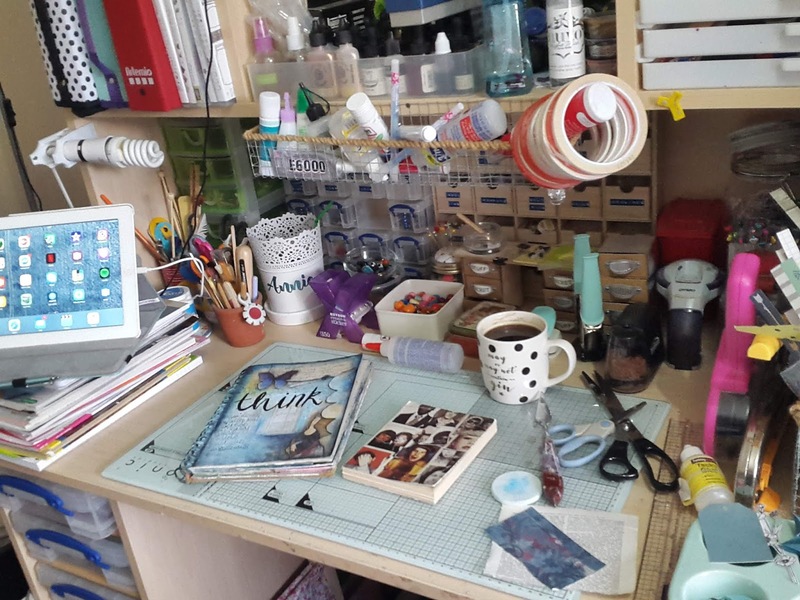 From left to right, you can see my iPad (essential for binge-watching, currently Les Mis on BBC iPlayer), some new stamp and die storage folders above that, my just-finished page for this week's Wanderlust 2019 lesson, a curious little book I found yesterday in a charity shop and my habitual black coffee. Ok, time to pop over to Julia's and link up now, see you there! 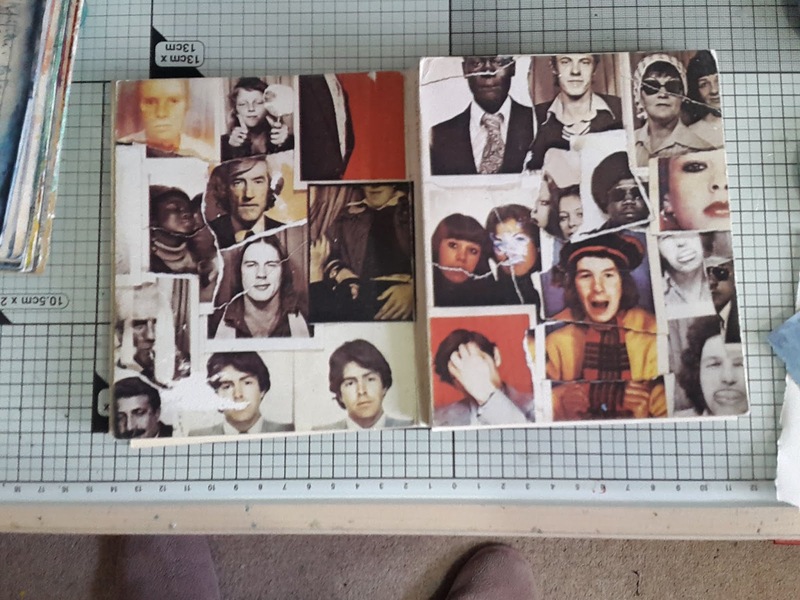 What a great find with all those wonderful images to plunder fro your projects. Love your clean patch in the middle. I've not thought of using can iPad to binge watch whilst crafting...Hmmm...that takes multi tasking to a whole new level. Sorr.y I’m late! Corrected the link, again, sorry to be late doin git. Your desk is so light and airy looking. 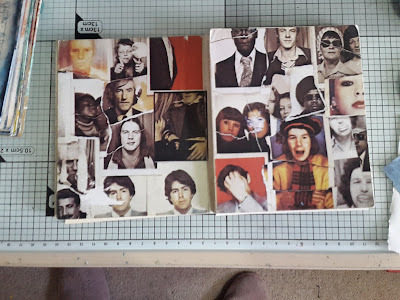 I’m fascinated by the phot booth book...what a curious thing - it throws so many quaestio s up for me! How many photo booths did he lurk by waiting for the unclaimed pics? 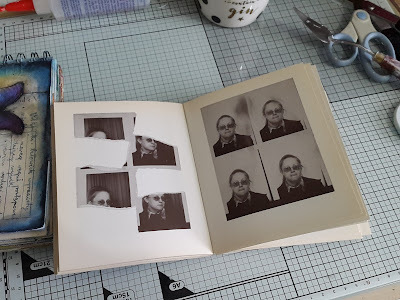 presumably then, permissions weren’t needed back in the 70s and 80s, and how do you get your pics taken and then NOT get them from the machine!!! Oh I can see you using these. WOYWW # 502 - my collection of body parts! 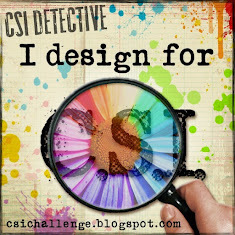 CSI #269 - Happy New Year and Happy Birthday! !